Picking up from where we left off in 7 Ways to Handle Creditors and Collection Agencies (Pt. 1), below we will continue discussing some specific things you can do when you are trying to deal with creditors who are incessantly contacting you about outstanding debt. 3. Explain your situation and inform the creditor about when to expect a payment. Explaining your situation to creditors can go a long way to making them receptive to negotiations when you are trying to lower your debt payments. If the debt in question IS your debt, then the next step to take is to talk to the creditors and try to work out a payment agreement. While you may expect creditors to be hardnosed when it comes to getting paid, explaining your situation can go a long way. For instance, if you have recently lost your job or have been seriously ill, telling creditors your situation may make them more inclined to drop some of the interest, cancel a late payment fee or possibly even give you a pass on making a payment for one month. The bottom line here is that you won’t know if creditors are willing to give you some leeway with debt payments if you don’t explain your situation and try. So go for it. 4. Try to negotiate a lower payment. Can get the creditor the payment within 30 to 60 days. Creditors would rather have something if the other option is that they won’t get anything. If they can close your account, get most of their money back and move on to collecting other debt, they likely want to do this. 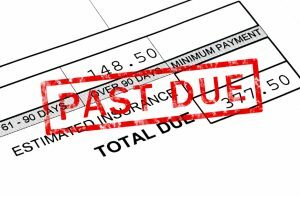 Stay posted for the upcoming conclusion to this blog for some final helpful tips for dealing with creditors when they are pestering you about debt payments.